Those who dream of being rock stars become bankers. And those who dream of being bankers … become rock stars? Little did he know, Edward G. Untalan would become both. Born and raised on Guam, Untalan couldn’t wait to leave the island for the mainland. “When I graduated high school, I wanted to be a [certified public accountant],” Untalan says. He moved to Wisconsin to attend Marquette University — yet his big dream wasn’t exactly what he had in mind. “My first semester of CPA I said, ‘Forget about it, this is crazy!’,” he says. So, Untalan set his sights on his next big dream — New York investment banking. He later transferred to Manhattan College in Riverdale, NY, where he graduated with a bachelor’s in finance with a minor in economics and a master’s in business administration with a concentration in finance/investments and a minor in marketing. Once again, Untalan’s big dream wasn’t working out. On the advice of his father, he came back home to Guam to join his father at the Bank of Guam, working his way up through various positions along side him. Untalan says that his father taught him that for every situation that you come upon in banking, you must do everything you can and explore every possible angle to be able to help someone, and that only once you can say that you’ve done everything you can for that person, is it time to walk away. This is something that Untalan took with him as he moved into his father’s position on the board of directors for the Bank of Guam after his passing, later into his eight years at the Guam Economic Development Authority and now almost 15 years at First Hawaiian Bank. He has taken that lesson with him into his many positions at First Hawaiian Bank since 2004. 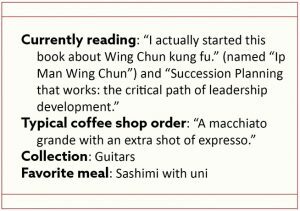 Here he would work with his third most influential figure, Ray Ono, who told him, that not only should he be caring for customers, but for his employees as well. “He would always tell me take care of your people, because without them you’re nothing,” Untalan says. 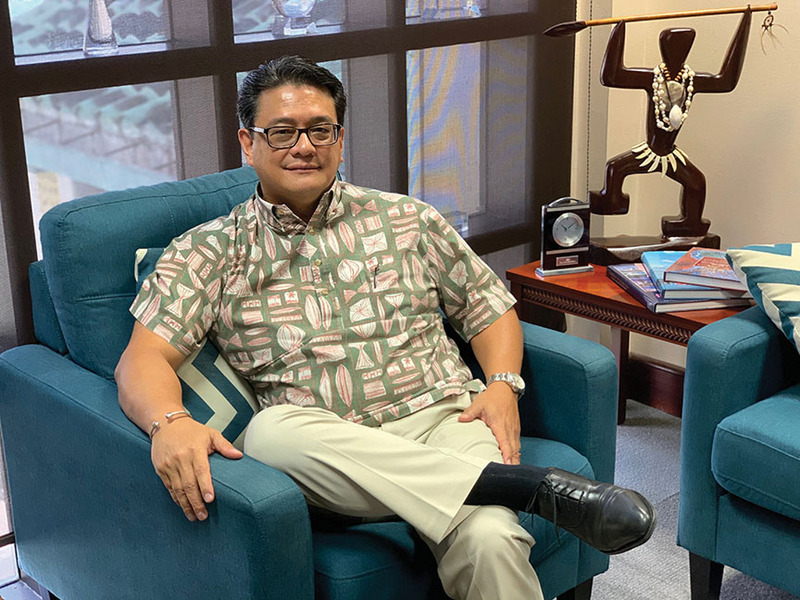 Care for your customers, care for your home and care for your people are the three pillars that Untalan continues to live by as senior vice president and Guam-CNMI region manager for First Hawaiian Bank and as a dedicated resident with a love for Guam.